The African porcupine quills range from about 3" to more than 11" long. The average quill is about 5" to 10" long . These quills can be used for fishing bobbers. The quills have been cleaned and sterilized. 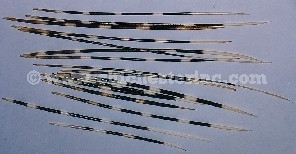 The X-Large quills are about 4-5mm thick in the middle. We have some ultra thin quills. They are thicker than the porcupine hair, but are thinner than most people like. 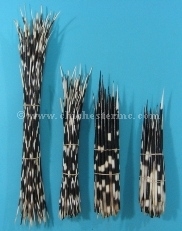 We also have some B-Grade African porcupine quills that are of a lower quality. 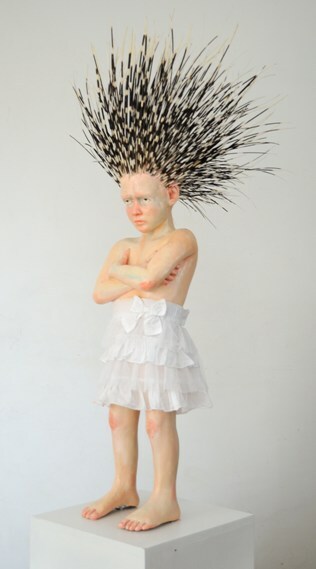 These quills may be bent, flattened, have broken ends, or otherwise flawed. They tend to have a stubby end instead of a sharp point, often having a more muted brown and white coloring instead of crisp black and white, and are often not as clean as the A-grade or #1 quills. This grade is what most other firms sell as A-grades. They come in bundles of thick and thin quills. The thick quills are 3 to 8 mm thick in the middle. The thin quills are 1 to 5 mm thick in the middle. If you need quills in a narrower size range, e.g., 7" - 8", please add US$1.00 per quill for sorting. We do not refund sorting fees. 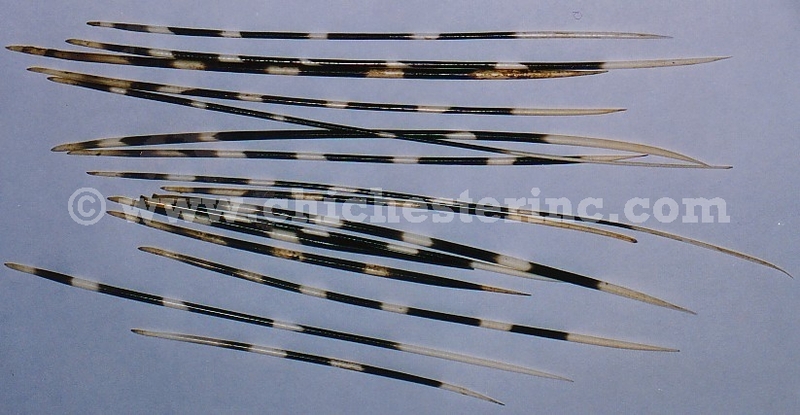 R-184-02WH African Porcupine Quills:White Various, mostly 3" - 12"
South African porcupines are not endangered.